I like how it’s a board book for you know, those little ones who like to stick everything in their mouth. It’s less likely to get ruined than a book with paper pages. 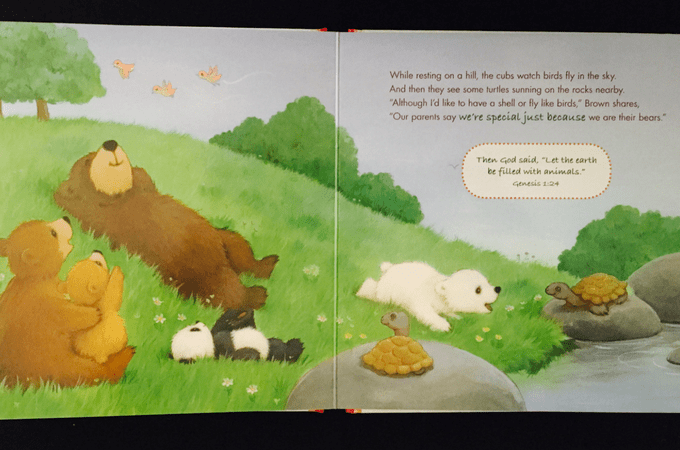 The book is about a brown mama and papa bear who have three little, very different bear cubs. One cub is a polar bear, another one is a panda bear, and the other is a brown bear like mama and papa. 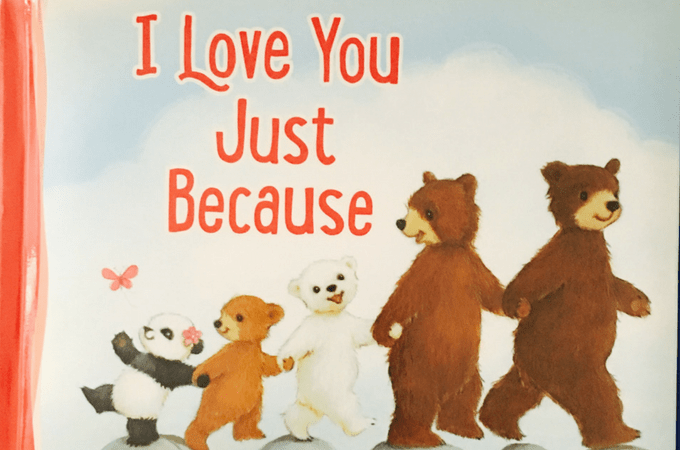 The mama and papa bear throughout the story, tell the cubs how they love them in their own ways even though they are different from them. Two cubs like fish, but one likes bamboo, but that’s ok to be different, they are still loved the same. They all like to do different things and eat different things but they are all loved the same. It also has quoted from the bible. I remember reading the Dr. Seuss book collection when I was a youngster. Such a sweet book you have here!